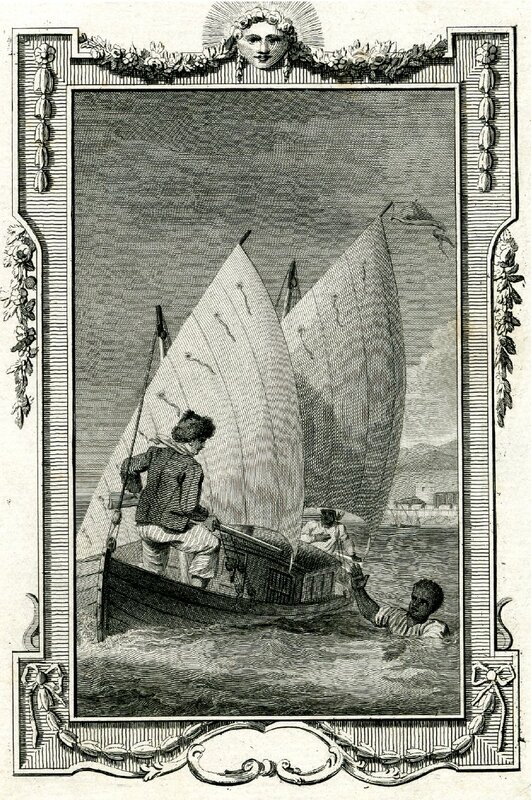 Plate III to Robinson Crusoe, engraved by James Heath after Thomas Stothard for Novelists' Magazine, 1781, British Museum. I stepped forward to where the Moor was, and making as if I stooped for something behind him, I took him by surprise with my arm under his waist, and tossed him clear overboard into the sea. He rose immediately, for he swam like a cork, and called to me, begged to be taken in, told me he would go all over the world with me. 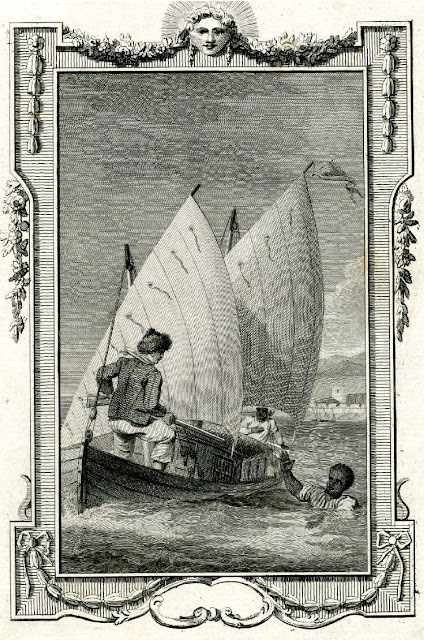 He swam so strong after the boat that he would have reached me very quickly, there being but little wind; upon which I stepped into the cabin, and fetching one of the fowling-pieces, I presented it at him, and told him I had done him no hurt, and if he would be quiet I would do him none. “But,” said I, “you swim well enough to reach to the shore, and the sea is calm; make the best of your way to shore, and I will do you no harm; but if you come near the boat I’ll shoot you through the head, for I am resolved to have my liberty;” so he turned himself about, and swam for the shore, and I make no doubt but he reached it with ease, for he was an excellent swimmer. 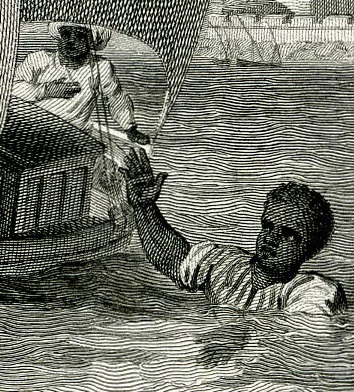 The catalog entry at the British Museum mistakenly attributes the figure in the water as Friday, the companion of Crusoe when he is later stranded on a desolate island. No such event as depicted here occurs with Friday. 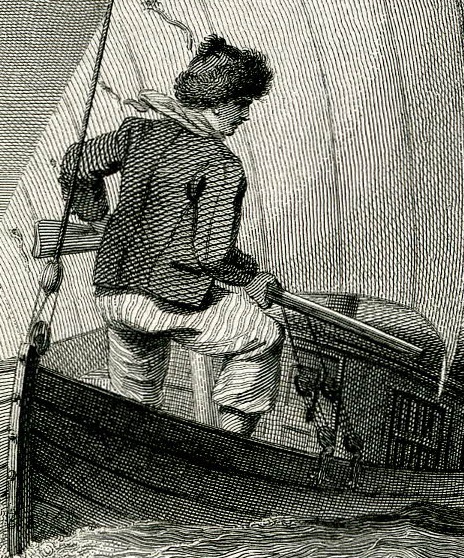 Crusoe wears a Canadian cap (rather warm for the Mediterranean), a jacket with closed scalloped mariners cuffs and slit waist pockets. He also wears oddly striped trousers that gradually change from the cuffs to the waist horizontal to vertical. These trousers end about the middle of the calf.